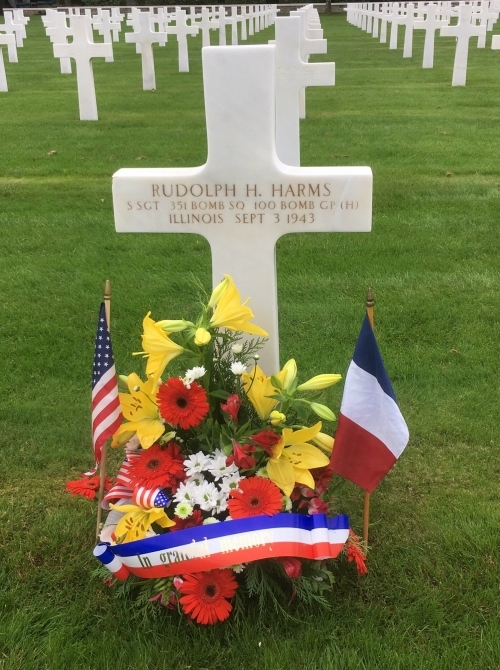 We just received the attached from the Epinal American Cemetery in France following our request for flowers at SSGT Rudolph Harms' grave on 9/3/18, the 75th anniversary of the crash and his death. The ribbon says "In Grateful Memory". What a lovely tribute.